You know how to serve your clients well, but you may stumble when trying to figure out how to strategically market your own business. You want someone who you can partner with, that “gets you” – who understands your business goals and strengths and can effectively “show” this to your target market in a cohesive way. You want to be taken care of and work directly with those who are designing and developing your marketing communications. Does this sound like you? Hi! 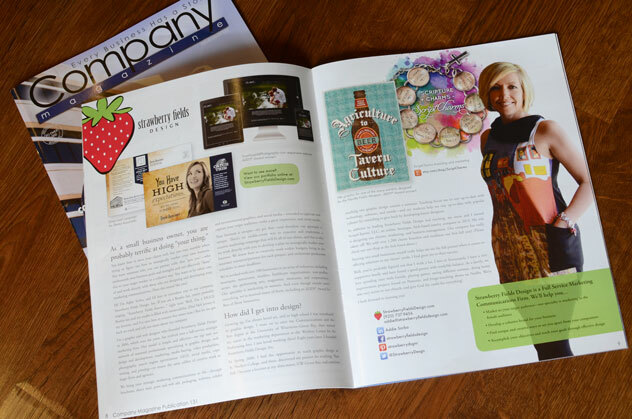 I’m Addie Sorbo, and I’d love to introduce you to my company, Strawberry Fields Design, Inc. If you are a Beatles fan, you’re probably singing, “Strawberry Fields forever…” right now. Well, I’m a HUGE Beatles fan and my studio is filled with memorabilia. (Paul McCartney is my favorite, and I’ve seen him in concert five times now.) But let me get back on track and tell you more about my company. 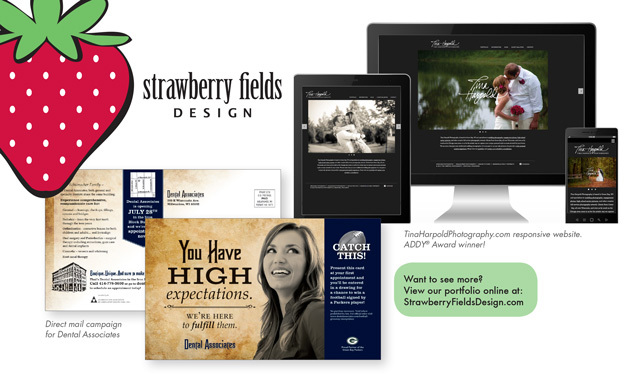 I’m a graphic and web designer who founded Strawberry Fields Design in 2006, which over the years, has evolved into a full-service strategic marketing firm. Our model is simple and effective – we tap into our network of seasoned professionals specializing in graphic design, web design and development, marketing, media buying, video production, photography, search engine optimization (SEO), social media, copy writing, and printing – to ensure the same caliber of creative work as larger firms and agencies. Left to right: Direct mail campaign for Dental Associates, TinaHarpoldPhotography.com responsive website. 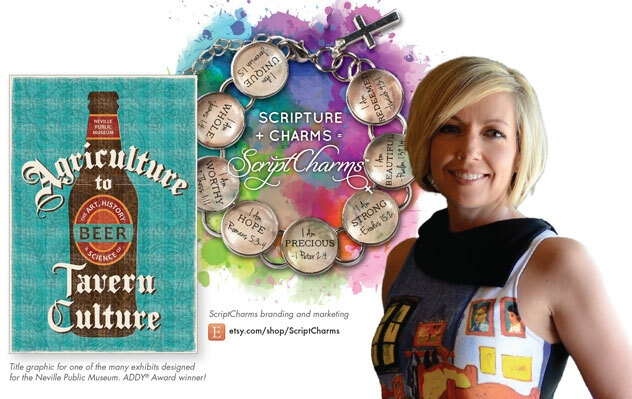 ADDY Award winner! We bring your strategic marketing communications to life – through brochures, direct mail, print and web ads, packaging, websites, exhibit and environmental graphics, and social media – intended to captivate and capture your target audience, make a great impression, and create results. Your business is unique – we get that – and therefore, our approach is unique. There’s no cookie-cutter way to conceive and implement a creative marketing campaign that will fit all of our clients, and this is why we work directly with you to develop a plan to strategically market your business. We know how to creatively work within budgets, bring in the necessary resources/partners for each project, and orchestrate production schedules to meet deadlines. We’ve worked with over 100 businesses in an array of industries, including boutiques, restaurants, retailers, healthcare organizations, non-profits, artists, the performing arts, magazines, museums, and corporations. Our specialty is marketing to women. And even though awards aren’t everything, we’ve received many of them, including an ADDY® Award for Best of Show Interactive. How did I get into design? Growing up, I’ve always loved art, and in high school I was introduced to graphic design. I went on to earn my Communications and the Arts degree at the University of Wisconsin-Green Bay, then started my career in the marketing department at the Weidner Center for the Performing Arts. I just loved working there! Eight years later, I founded Strawberry Fields Design, Inc. In Spring 2008, I had the opportunity to teach graphic design at St. Norbert College, and there, discovered my passion for teaching. That Fall, I became a lecturer at my alma mater, UW-Green Bay, and continue teaching two graphic design courses a semester. Teaching forces me to stay up-to-date with technology, software, and trends – and my students help me stay up-to-date with popular culture! It’s rewarding to give back by developing future designers. Starting two small businesses myself really helps me see the full picture when it comes to offering solutions to my clients’ needs. I find great joy in their success. Well, you’ve probably figured out that I work a lot. I love it! Fortunately, I have a very supportive family and have found a good groove with work/life balance. As a family, we love spending time with friends, playing games, eating different cuisines, doing home improvement projects found on Pinterest, and binge-watching shows on Netflix. We’re also very active in our church, and give God the credit for everything! © Company Magazine. Used with permission.